The 3DS is bombing. Sales numbers are way lower than projected and Nintendo has already done a massive price cut in the hopes of increasing holiday sales and hype. Executives are taking pay cuts and apologizing to investors. The rumors are circulating that Nintendo is considering a hardware redesign already. They have rewarded early adopters with free games, but that doesn't fix the main problem, that people aren't buying their system. I can't speak for everyone, but I can tell you why I don't own a 3DS. In a nutshell, I've been spoiled by the price of mobile games. I play games on my ipod touch almost every day and the most I paid for one was around the $8 mark but even that is the exception. 95% of my games were in the 1 to 2 dollar range. I get hours upon hours of play out of the games I purchase and for $1 it's a steal. When I'm getting so much playtime for a few bucks on my mobile device how can I justify paying $30+ for each 3DS game? Realistically, I can't. It's not the full-fledged experience that I pay for on the PC or Xbox 360. 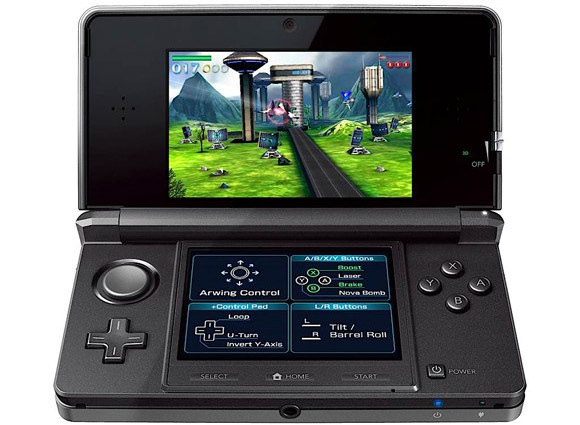 The 3DS is inherently a mobile gaming platform. Despite the 3D hardware, with the prevalence of smartphones we have new standards upon which we judge mobile gaming. Unfortunately for the 3DS it's still playing by the old rules. It may be cool new hardware with a big name behind it, but I don't think fortune is in it's favor.
" It's not the full-fledged experience that I pay for on the PC or Xbox 360." I think the problem is that it's TRYING to be a full fledged experience. Why else release Ocarina of Time, one of the largest adventure game sin their catalog? I agree with you completely that the future of mobile gaming is more in those 1-2 dollar games that you can pick up, play for a few minutes and put down multiple times in a day. Honestly, I think they should have stopped at the DS. They had something good going right there, and for a good price range too. It's too early to say that the 3DS is bombing. It's having a slow start, just like the DS. That Nintendo is panicked is something new - but not the end of the world. If - after Mario 3D Land, Mario Kart, and all the other big games are released - sales are still flat then we can declare the system in trouble.... until then, it's just a system that was rushed out to beat the Vita way before the software support was in place. As for cheap(er) gaming..... the 3DS eShop is showing some early promise. Games are still a touch higher in price than I'd like for some titles, but there's more bite-sized stuff for reasonable money. I believe I told you to get the PS3 back when you had your Console Quandary. I still believe what I said. The 3DS is to expensive even with price cuts, doesn't have good games currently (in my opinion of course), and the games are to expensive even if I wanted them. Something needs to change with how all games are priced, not just mobile games. Thanks for the link. I really do hope the 3DS succeeds, it just seems to be struggling right now. Nintendo is going to have to keep realigning their price structure if they want to stay competitive. If they keep lowering the price and cut down the cost of games I might end up picking up a 3DS sometime down the line. It's just not appealing right now.